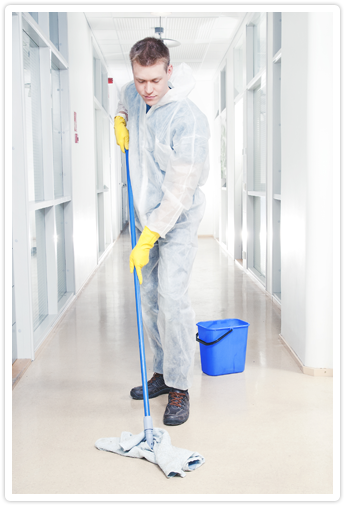 At Clean Solutions LLC, we offer complete commercial janitorial services for all types of facilities such as commercial, educational or event venues. Our Janitorial Services are trusted, affordable and efficient way to keep your building shining bright day after day with consistency and reliability. Maintaining a high level of cleanliness is an essential part of presenting a professional image. At Clean Solutions LLC, we help keep your business clean and looking its best by providing janitorial service in Fort Walton Beach, FL. From waxing and polishing tile floors to stocking restrooms with toilet paper and other essentials, we do what it takes to keep your business in tip-top shape. You can now enjoy reliable, professional, and stress-free commercial janitorial services when you call Clean Solutions LLC. We’re conveniently staffed to handle any type of janitorial service request 24-hours a day, 7 days a week, regardless of the job size. We understand how important it is for you and your organization to have a local commercial cleaning company that shows flexibility and help handle any last minute requests. Our goal is to provide your organization with a level of professional service and support that exceeds your expectations and delights your customers and employees, while providing a clean and safe environment, regardless of the size of your facility or industry. Clean Solutions customizes each commercial cleaning job according to our clients' particular needs. We can perform any service you need, and provide it on a daily, weekly, or monthly basis, all within your budget. Services can be provided every two or three days as well. Our company is more than happy to work with you and set up a schedule to satisfy all of your janitorial cleaning needs. Our company serves clients throughout Fort Walton Beach, FL, and the surrounding areas. Contact us today to schedule your next cleaning service. We can provide carpet cleaning service and keeping your floors clean by using an eco-friendly hydrogen peroxide cleaner. This thoroughly cleans your carpet, leaving it stain-free and looking great! Clean Solutions also provides janitorial services to keep common areas clean, including stairwells and elevators. 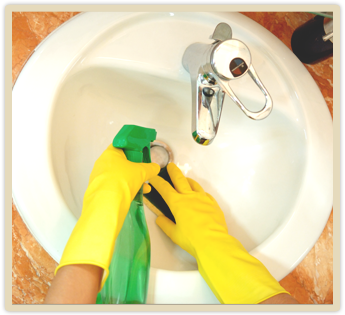 We can assign the same porter each day to keep your common area clean and spotless.